Saint Michael is captain of the armies of God. This chaplet was given by Saint Michael to the Portuguese Carmelite nun Antonia d'Astonac. It was approved by Pope Pius IX. It starts with an act of contrition, then there are nine salutations, one for each choir of angels, each one followed by an Our Father and three Hail Marys. These are followed by four Our Fathers, honoring Saints Michael, Gabriel, Raphael and the Guardian Angel. The chaplet concludes with a prayer to Saint Michael. O God, come to my assistance. O Lord, make haste to help me.Glory be to the Father, etc. 3. By the intercession of Saint Michael and the celestial Choir of Thrones may the Lord infuse into our hearts a true and sincerespirit of humility. Amen. 4. By the intercession of Saint Michael and the celestial Choir of Dominions may the Lord give us grace to govern our senses andovercome any unruly passions. Amen. 5. By the intercession of Saint Michael and the celestial Choir of Powers may the Lord protect our souls against the snares andtemptations of the devil. Amen. 6. By the intercession of Saint Michael and the celestial Choir of Virtues may the Lord preserve us from evil and falling intotemptation. Amen. 7. By the intercession of Saint Michael and the celestial Choir of Principalities may God fill our souls with a true spirit ofobedience. Amen. 8. 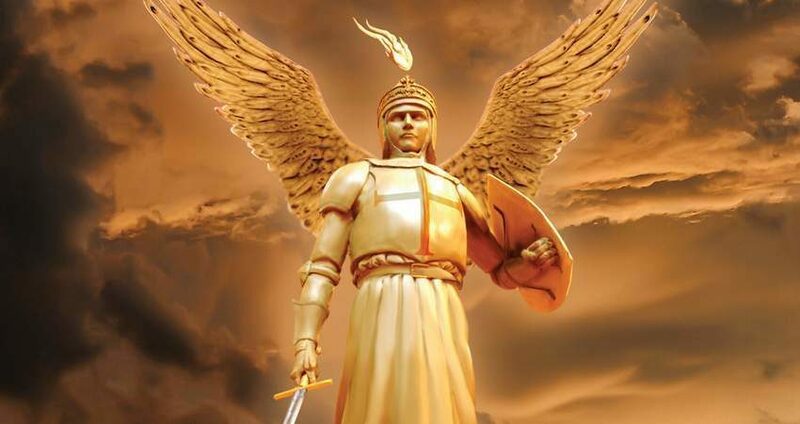 By the intercession of Saint Michael and the celestial Choir of Archangels may the Lord give us perseverance in faith and in allgood works in order that we may attain the glory of Heaven. Amen.